Peter Ramos grew up in Reno, NV with the Sierras in his backyard. In 1984 he began adventuring in the mountains when his mom took him skiing at the young age of two. In 1990 he started climbing competitively in indoor climbing competitions. It was at 14 years old when Peter landed his first guiding job, teaching summer camps out of Donner Summit, CA. Peter left Reno the day after he graduated high school and moved to Bozeman, MT. He attended Montana State University and eventually graduated with a Bachelor’s degree in Nursing (BSN-RN) in 2009. Over those years he continued to guide for various organizations and learned to speak Spanish while climbing throughout South America doing nursing projects. During that time, he also earned the following certifications; Wilderness EMT-B, Advanced Wilderness Life Support (AWLS), and Adult Cardiac Life Support (ACLS). He has traveled throughout the world as an Expedition Nurse, carrying out both nursing and guiding responsibilities. When Peter is not expedition nursing, he is working as a community health nurse in the local community health centers. 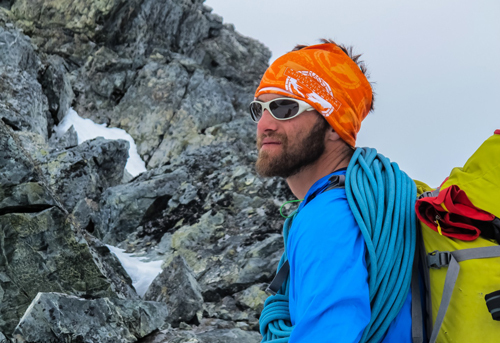 His current focus is to complete the AMGA requirements necessary to become an IFMGA certified guide. Peter is a valuable asset to any mountain adventure, given his guiding history, mountain knowledge, and nursing background. Once again, AAI and the incredible guides provided an expedition that exceeded all hopes and expectations. Every detail is so dialed in there is a reason I keep coming back time and time again to AAI and will continue to do so.